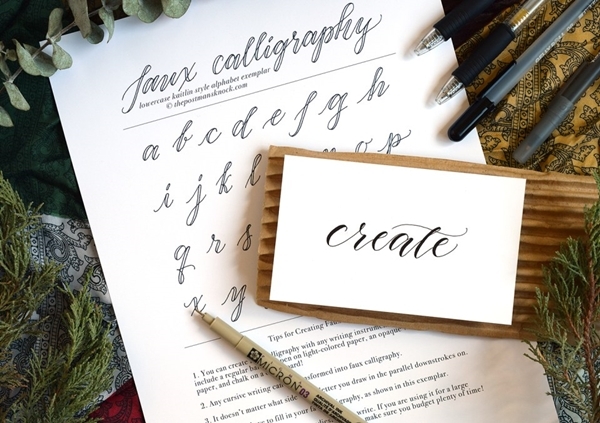 Whether you are thinking about postcards or to fill that pen with rich ink so you could scribble on your journal, the first thing that comes to mind is a beautiful lettering that looks so enticing that you can keep staring at it. And what’s more enticing than the calligraphy? 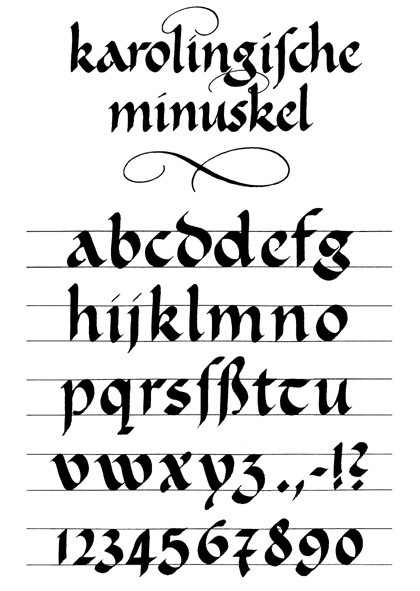 Now, there’s this teensy tiny problem when we think about calligraphy. What? Oh, the fact that states it’s difficult to write calligraphy. It’s not, me thinks! Okay, not all of them at least. You would believe me when you read about A Calligraphy Guide for the Beginners | All About Fonts and Alphabets. 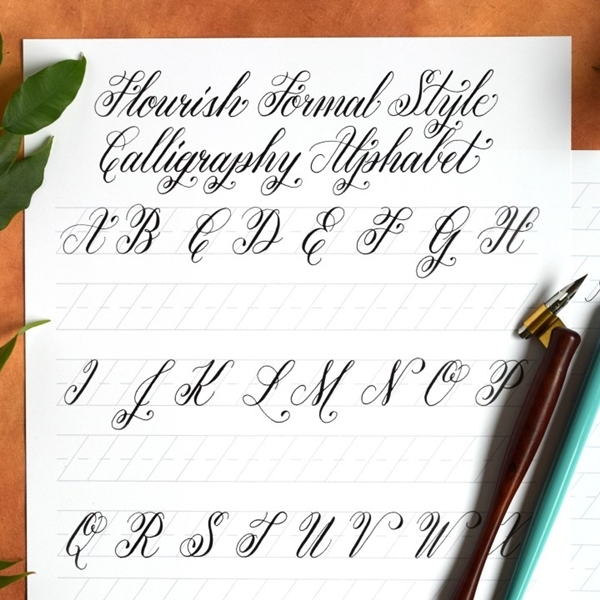 And you, oh-little newbie, don’t worry; it’s a lovely and easy to understand Calligraphy Guide for the Beginners. Christmas is coming. 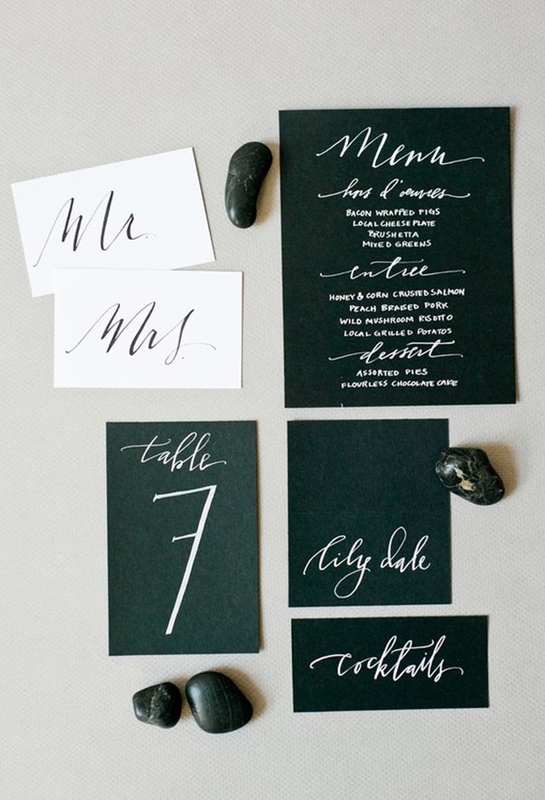 So be ready with this fascinating calligraphy for sending postcards and make sure you use these lovely decor ideas. 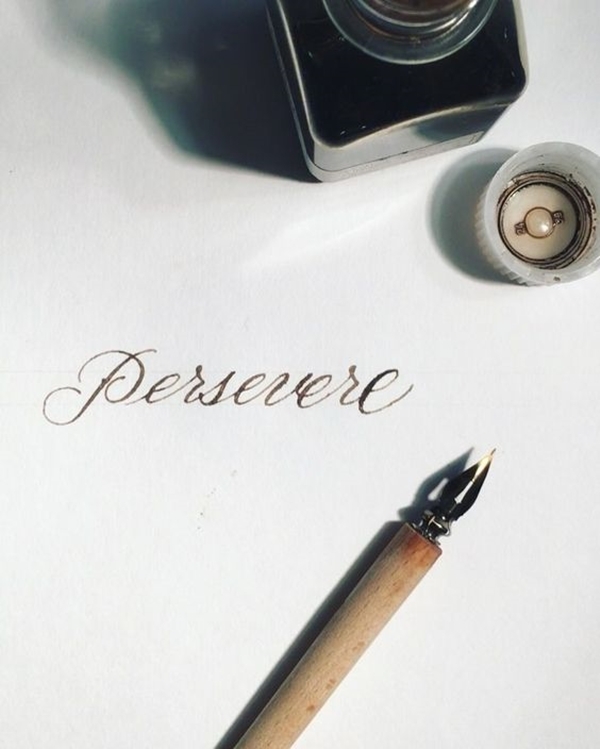 Don’t shy away from even attempting to practice calligraphy. Deep down we all have this urge to have a beautiful handwriting. And every time when we see our not so great handwriting, we can’t help but wince. But not all calligraphy styles are difficult, so don’t be intimidated by them. With time and practice you will definitely get there. 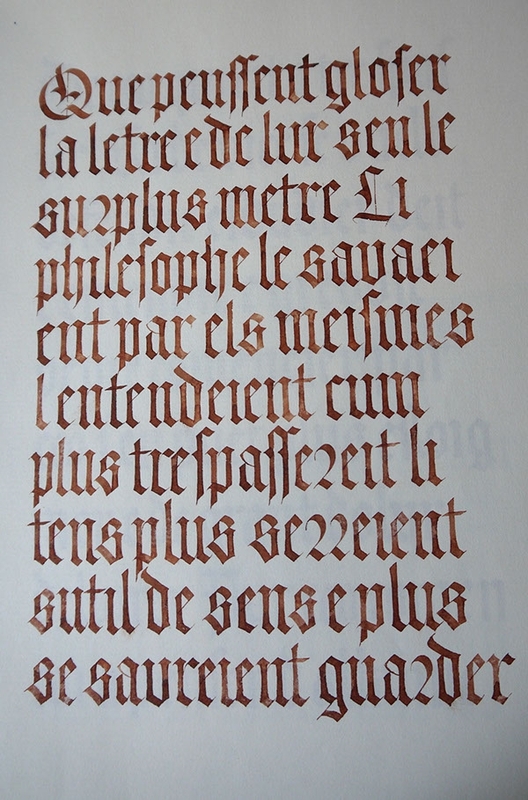 And if nothing else then the modern calligraphy will definitely become your best friend in the meantime. It doesn’t have many rules, they say. Wink! Before starting with calligraphy alphabets and fonts, I would like to mention a few more important things. For instance, the pen! I mean you can’t expect a normal pen to work wonders and create calligraphy with the utmost precision. So calligraphy pens are something that you must be looking for. 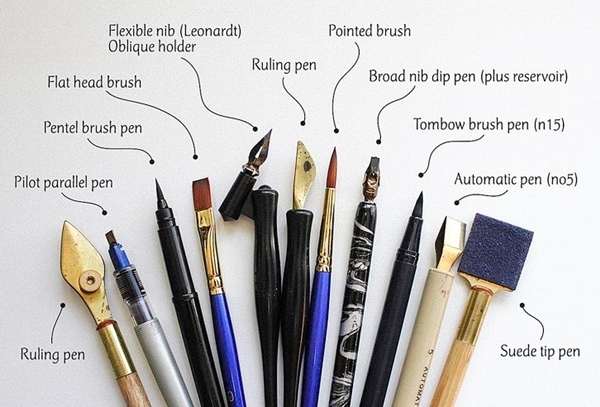 Fountain pen, brush pen, dip and felt tip are some of the calligraphy pens that you can choose from. Spilled that ink all over your clothes? Don’t worry, here you can see how to get rid of stains easily. 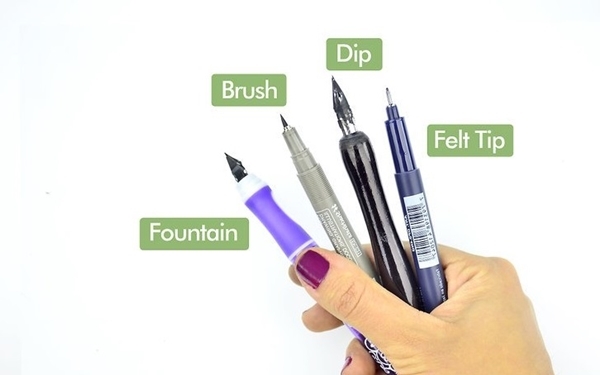 Start with the pens that are less expensive and are appropriate for beginners. Later you can play with the whole calligraphy tools once you are confident enough. Already a pro in calligraphy? Need paint to practice more? ALSO READ – Here is how you can make gallons of paint out of crayons and glue easily without making a bigger dent in your pocket. When we talk about gothic, all things dark and black comes to mind. Not to mention the ghostly vibes. But you have to admit, though the word gothic seems haunting, it has its own allure that kind of fascinates us. You can say the same about the gothic alphabet. Created in the 4th century by Ulfilas, an Arian bishop, the alphabet was actually invented to record the Gothic language. With its intriguing style, you can see how one can be tempted to try their hand in this amazing calligraphy style. This ancient calligraphy style reminds me to tell you about something modern like these window designs for your home. 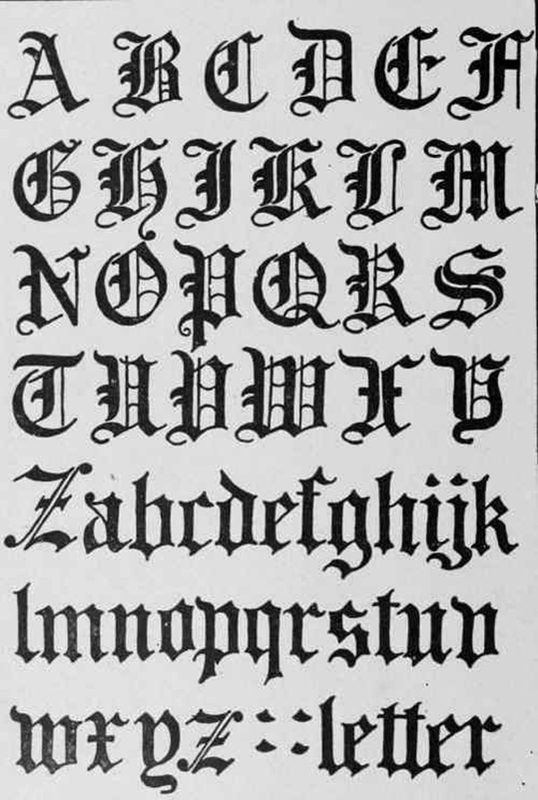 While we are talking about the gothic alphabet, let’s not forget the gothic script. 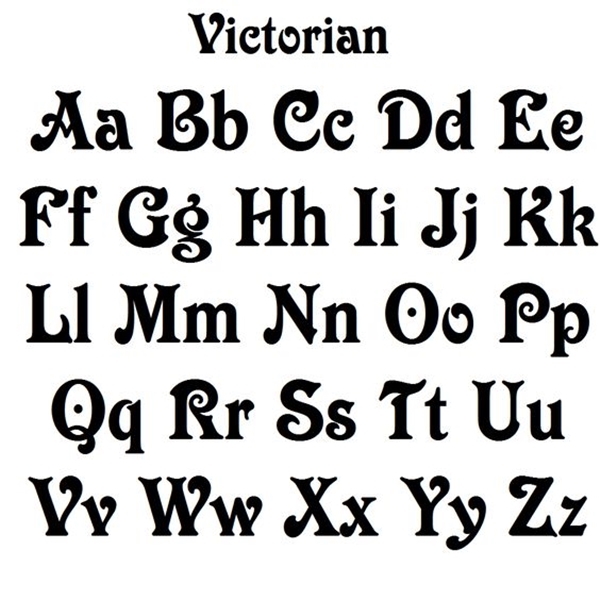 And before your frown becomes much worse, let me help you get rid of that and declare that the gothic alphabet and gothic script are different from each other. 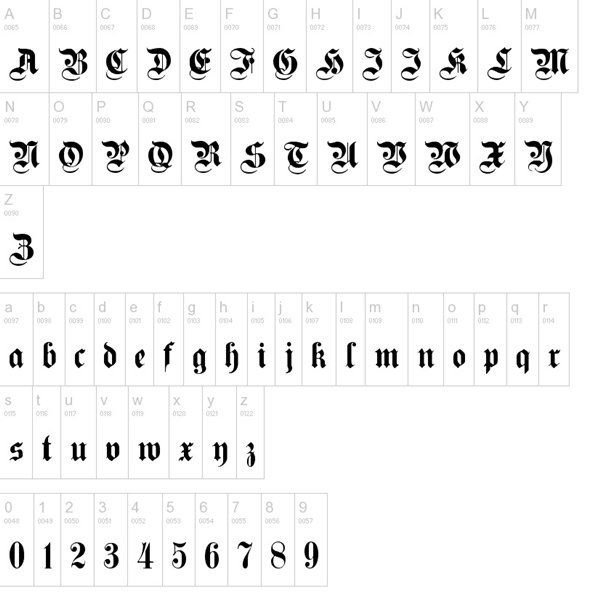 Black letter alphabet is also known as the Gothic script or Old English script. Back letter is a style of the alphabet in calligraphy that was used to manuscript books and chronicles between the 12th and 20th century. One might also know it as Textura or Gothic minuscule. This elegant calligraphy style is another one of the coolest of them that you must try your hand with. You know what else you should try? These amazing and easy rangoli designs. Fraktur is another fascinating calligraphy hand that would surely tempt you to give it a try. You could call the fraktur a relative of the black letter since this hand had contributed to deriving several black letter typefaces. 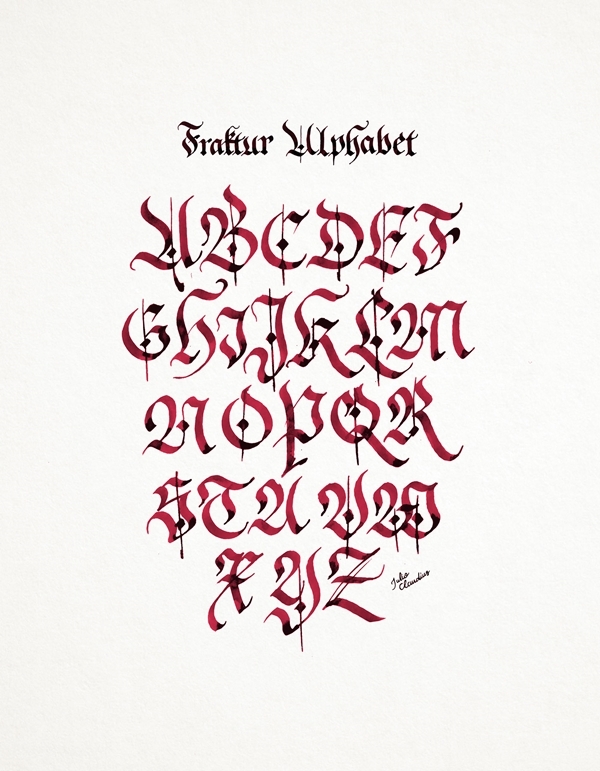 In fact, fraktur is a calligraphy style that belongs to the black letter. The style arose early in the 16th century and became prominent in many European countries. With its rich history, one can surely feel intimidated to learn this style but there’s nothing a little practice can’t help (Okay, maybe a lot of that practice!). While you are busy in calligraphy sessions, keep your kids busy as well with these crafty ideas. We talked about different calligraphy alphabets and now its the time for some really cool calligraphy fonts. And guess what. There are so many of them that you would bite your nails when it comes to picking one as your favourite. Here is a list of different calligraphy fonts that a beginner would love to explore. Explore these decor ideas as well for your lovely studio as well. 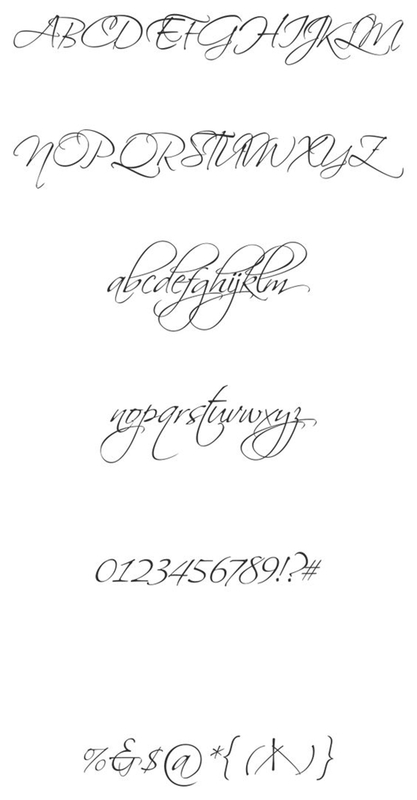 With its elegant caps, you can’t really help but attempt this classic calligraphy font. A lovely calligraphy font redesigned by Fredrick Nader and Roger S. Nelson, the scriptina pro is a beautiful font crafted to fit any design layout. 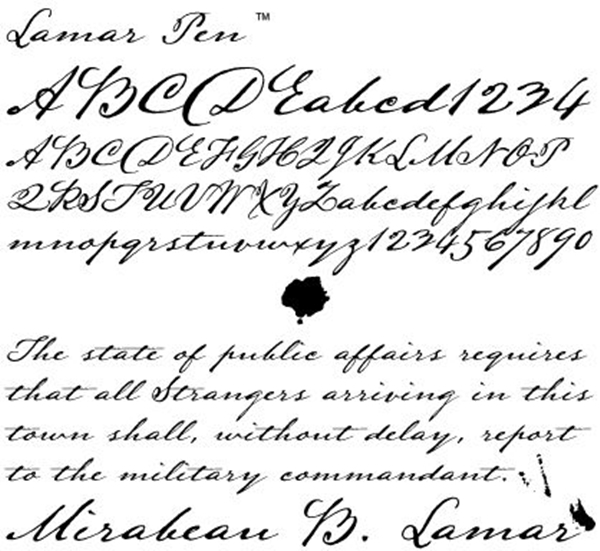 Lamar pen is a stunning calligraphy font designed by Mirabeau Buonaparte Lamar is a fascinating style with words combining in an elegant and stylish way. Inspired by gothic font, you can clearly see how much this Germanica font resembles the flawless gothic alphabet calligraphy style. A classic calligraphy font that works for all types of occasions, the hiatus is an elegant lettering style where one can form some great letter combinations. 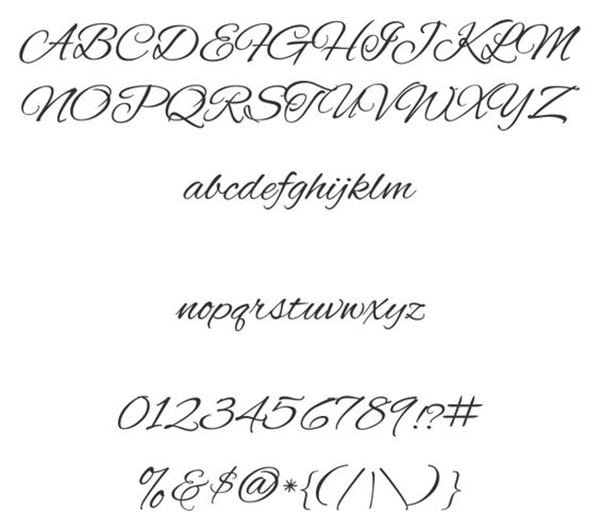 Looking for an alluring font for your wedding invitations? Monte Carlo is just the calligraphy font that you are looking for. With its elegant cursive details, one can’t help but appreciate them. You will appreciate these kitchen ideas too when you will learn how perfectly they fit in your budget. The different fonts can intimidate anyone, so don’t worry. 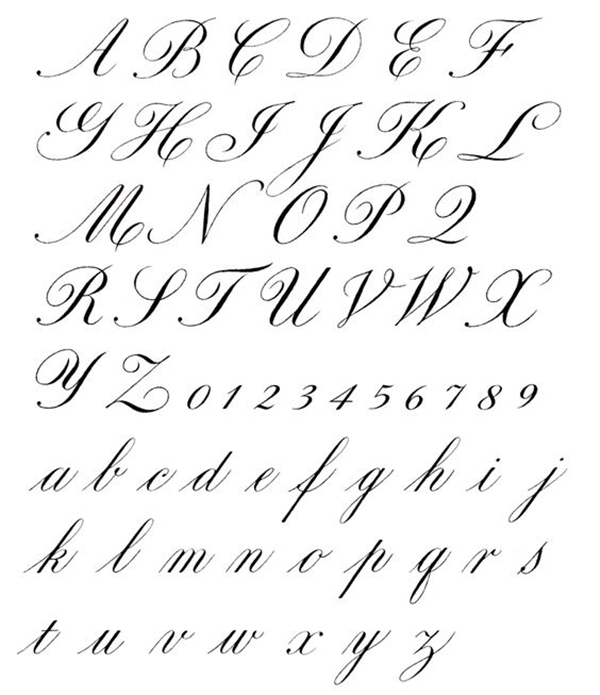 There are practice sheets available for you to get better and better with calligraphy. With these many tools and pens and sheets, one might get confused how to keep them in a perfectly organized way. These tricks might help you there. 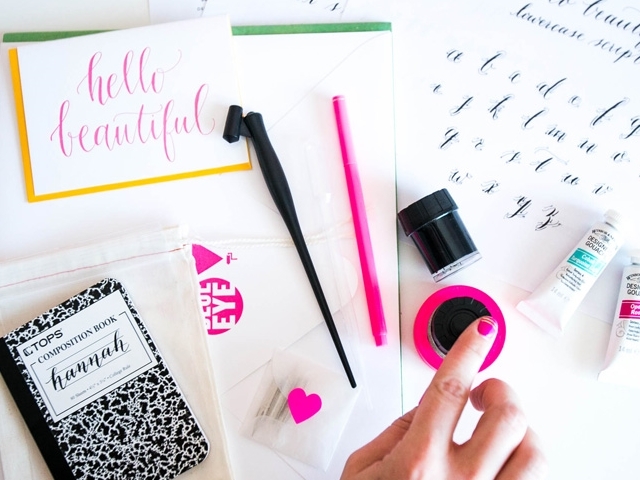 The world of calligraphy has so much more to show you and so many beautiful fonts to explore. One just has to pick a pen and start practicing. I can assure you that you wouldn’t become perfect in just one session, because hey, we are talking about calligraphy here. But you can definitely get there after lots and lots of practice. And also practice keeping your kids away from bad company. With these tips, you will stay sane for sure.